If you’re searching for BuddyRest dog bed reviews, chances are you’re in need of an affordable orthopedic bed. Maybe you have a senior dog with aching joints? Or perhaps a puppy that just needs a cozy spot to curl up? From young to old, BuddyRest has a great reputation of providing both comfort and support to dogs. 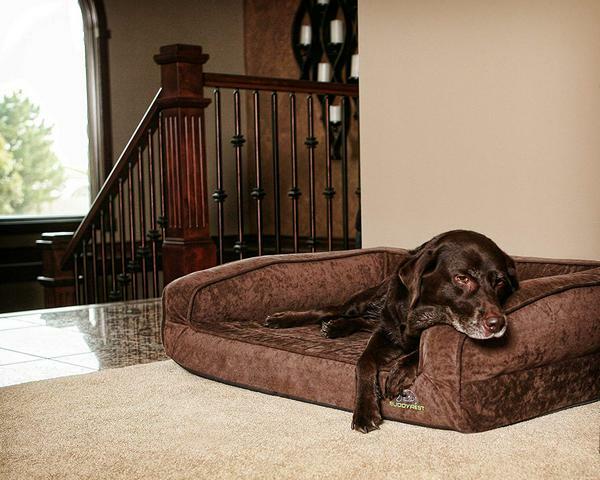 Why choose an orthopedic dog bed like BuddyRest? 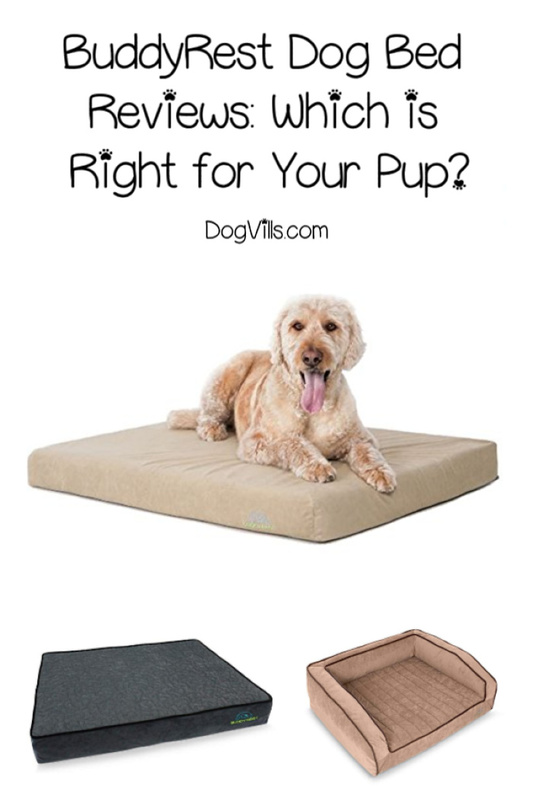 How does an orthopedic dog bed help? If you think that only senior dogs have orthopedic issues, think again! Orthopedic cases are common in both young and adult dogs. Of course, senior dogs are especially prone to joint degenerative diseases such as arthritis, hip dysplasia and so on. These conditions often cause joint pain, joint stiffness, lameness, exercise intolerance and, consequently, muscle wasting. Veterinarians often prescribe orthopedic mattresses to ease some of these symptoms in an effort to alleviate pain, discomfort, and ease stress off the spine. This, in turn, aids in speeding up their recovery. The mattresses give joint support and help maintain good posture by preventing the body from curling on itself, easing strain on the spine. They are also prescribed during recovery from orthopedic surgery. Memory beds offer the best results as they conform to the dog’s body relieving pain and pressure on the joints. It’s also wise to be keen on the material with which the bed has been made from depending on the use. Smooth nylon is easier to clean as they don’t catch hair therefore good for long coat breeds. Those made from vinyl weave are great for the outdoors. They allow water and air to flow through, keeping dogs cool and dry. Textured nylon is great for dogs with allergies or sensitive skin as it promotes traction while the dog is getting on and off. Crypton fabrics are on the other hand water resistant, odorless and easiest to clean. Below we review the best BuddyRest beds that we think are value for money offering the greatest benefits for your fur babies. The BuddyRest Crown Supreme features state-of-the-art materials to support your dog’s joint health. 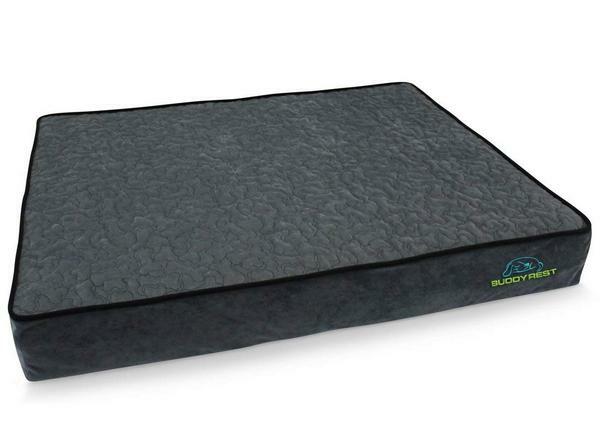 BuddyRest Comfort Deluxe dog beds are made in the USA & specifically designed to relieve joint pain. 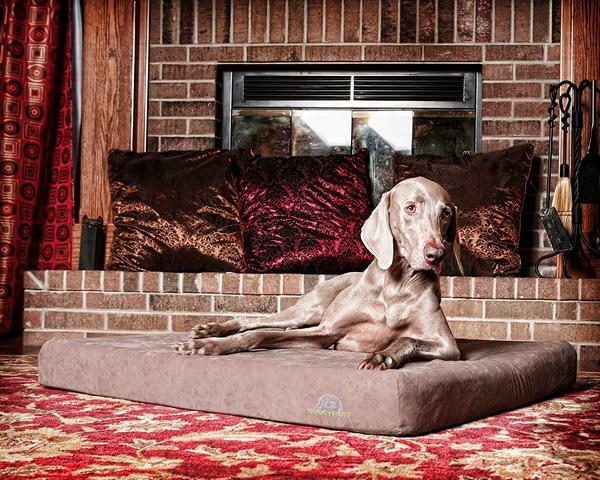 The BuddyRest Romeo dog bed helps offer better mobility comfort for your senior dog. The BuddyRest Juliet dog bed offers the same comfort as the others, but it is also a great option for crates or cars. 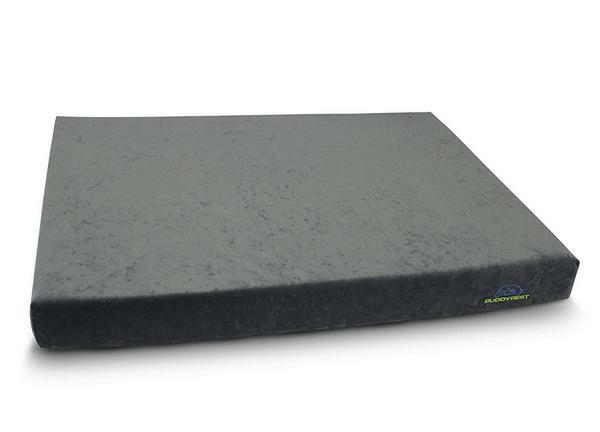 This orthopedic bed boosts of top of the art features specially crafted for arthritic dogs to support joint health and recommended by veterinarians. This specially crafted orthopedic offers comfort, warm and health benefits to your fur baby. The gel infused memory form conforms to your dog’s body which is essential for dogs with joint degenerative diseases such as arthritis and hip dysplasia. It conforms to your dog’s body relieving pressure from the spine and joints. It also helps to keep them cool during the winter months and warm during winter. If you fancy sassy home furnishings then this pick will work well with your style. It is fitted with Crypton piping and Kevlar quilting. The fabric, also made from Crypton, is easy to clean and absorbs odors. The American AdatpaLoft cloud fluff leaves your dog feeling warm, comfortable and secure. Comes in 4 different colors to match up with home décor and interior. The Crypton is hypoallergenic and has antibacterial properties which helps keep off bacteria. It’s also chew resistant, does not tear and wear off making it a good long term investment with a warranty of 10 years. Overall this bed is worth every penny. It’s durable, easy to clean and offers comfort to arthritic dogs. A worthwhile investment if I may say so myself. This orthopedic bed is handmade from the USA especially formulated to relive joint pain common in arthritic dogs. Come in four colors; champagne beige, dark chocolate, fathom gray and iced mocha. 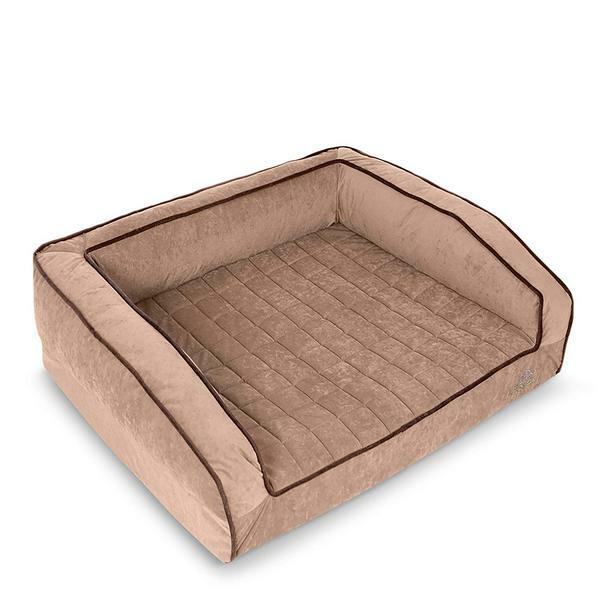 BuddyRest Comfort Deluxe Memory Foam Dog Bed is also durable made from Kevlar seams making it chew and tear resistant. The Crypton fabric is also easy to clean, water resistant and absorbs odors. It is also fitted with memory foam which conforms to dog’s body helping relieve pain and pressure on the joints. It also has high density core support foam. It is easy to clean, absorbs odors and water resistant with the help of the Crypton smart fabric. Has memory foam which helps to keep your fur baby comfortable. It also helps relive joint pain and pressure in arthritic dogs. Overall this is a worthwhile investment. It is durable, comfortable for dogs with joint pain, easy to clean and comes in various sizes and colors. It also guarantees 10 years worth of service. 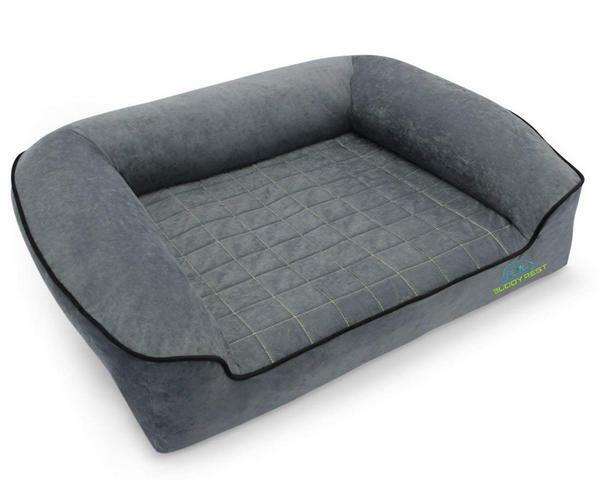 This bed is offers better mobility comfort for your senior or arthritic dog and made using the latest LiftTex technology and durable material that will last you over a period of 10 years. The bolsters are detachable. They are also rounded and offer a back rest for your dog making it extra comfortable. The exterior is made from Crypton fabric while the seams are made from Kevlar thread which is five times stronger than other beds. The stuffing in the bolsters is removable depending on your dogs needs. This bed is the number one recommended by veterinarians. The LiftTex technology mobility innovation allows the dogs especially arthritic dogs to enter and exit the bed with ease. The 3 layer memory foams conforms to the dogs body relieving pressure and pain from the joints and also is comfortable to lie on. The Crypton fabric makes it easy to clean. It also absorbs odors and is water resistant. The bolster have a head rest offering extra comfort and are also detachable. The stuffing in the interior is removable according to your dogs needs. The exact width of the foam is not specified. This orthopedic bed is highly recommended by veterinarians. It offers quality and durability with a warranty of 10 years. The Liftex technology allows dogs with mobility issues to come in and ext the bed with ease. It also offers extra comfort owing to its three layered memory foam. This rectangular orthopedic bed offers comfort in arthritic dogs. It can fit into cars or crates owing to its shape. Rectangular in shape and comes in the sizes large, medium and extra large. The LiftTex technology comes in handy especially in senior dogs or those with joint degenerative diseases such as arthritis , hip dysplasia etc. They help in mobility by making it easier for them to get in and out of the bed. The three layered memory foam is of high density offering extra support as well as ease pressure from the spine and joints. The Crypton fabric is easy to wash, odorless and machine washable preventing bacteria and parasites from thriving. If you are looking for an orthopedic bed to fit into your dogs crate or in the car this is your best bet. They are durable, comfortable and elegant. BuddyRest orthopedic beds give you what you paid for and then some. Their state of the art Liftex technology is especially recommended in arthritic dogs as it helps in mobility. The use of memory foams not only bring out the nesting instincts in your dogs, it also relieves pressure and pain off the joints and spine. They are also easy to clean, water resistant, odorless and are chew resistant owing to the Crypton fabric and the Kevlar threading used. Plus, you get that 10-year-warranty with each bed! Sounds like a great deal to me! Do you have any thoughts to add to our BuddyRest dog bed review? Which one would you choose? Share below!